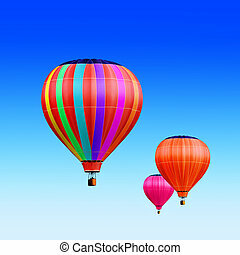 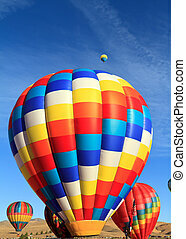 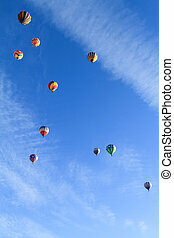 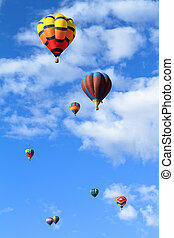 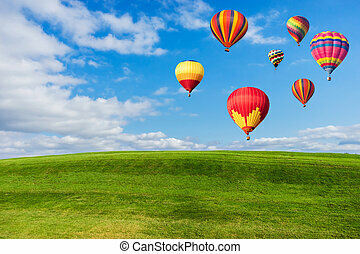 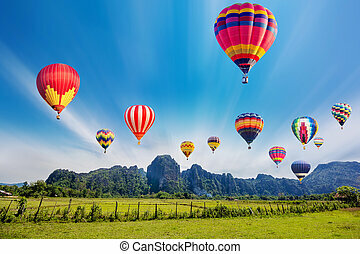 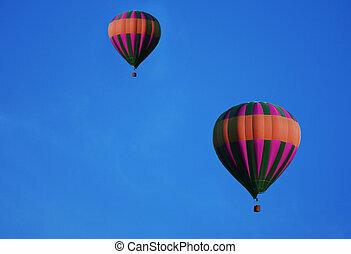 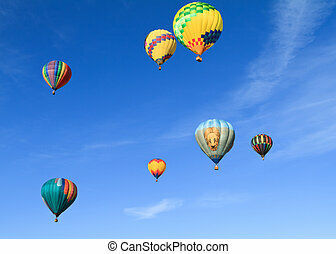 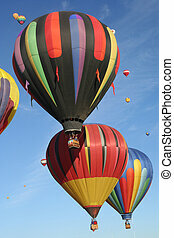 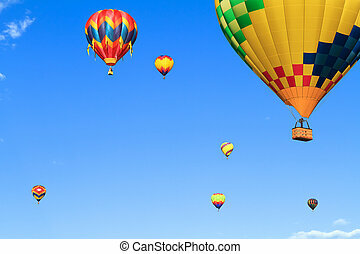 Colourful air balloons. 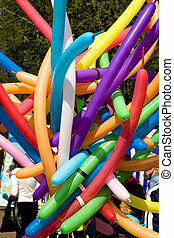 air baloons festival, novosibirsk, may 2005. 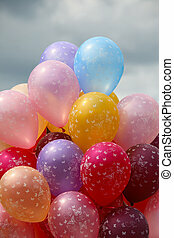 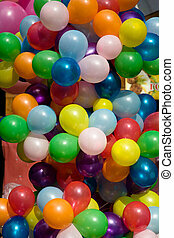 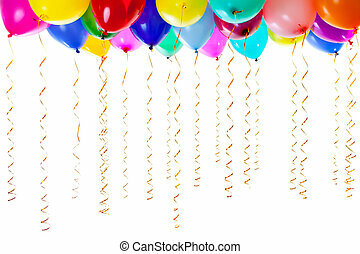 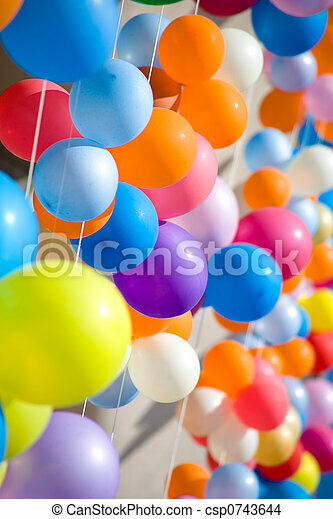 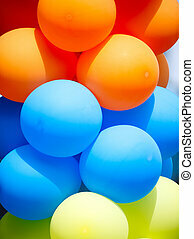 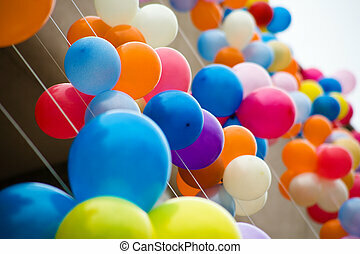 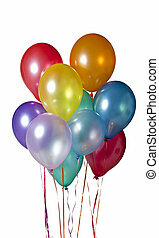 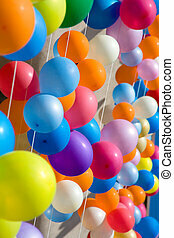 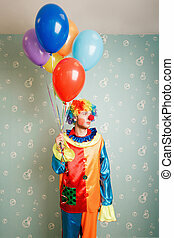 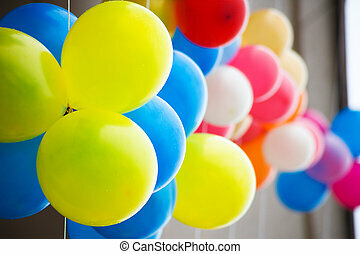 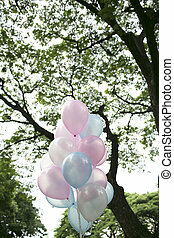 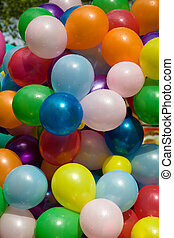 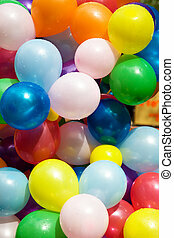 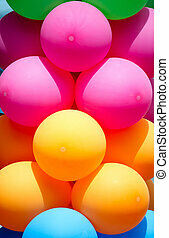 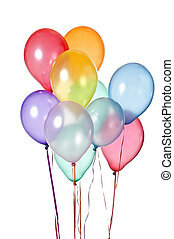 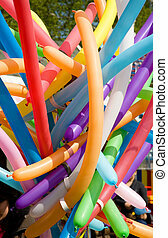 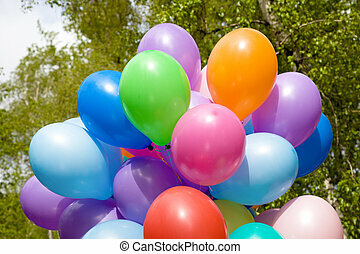 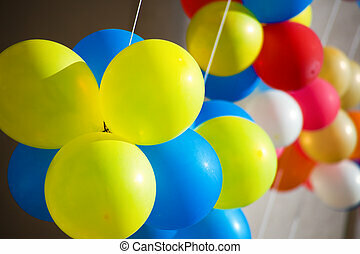 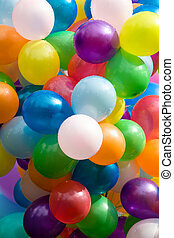 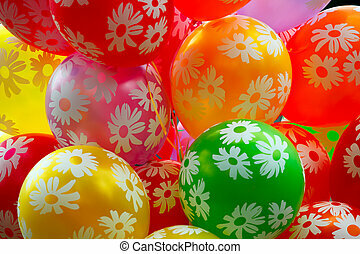 Dull clown with a bunch of colourful air balloons standing in the room.